Hill’s Van Service of Marion Co. Serving since 1951 call our team today. We'll pack as much as you need us to. Polite - quick - careful! The driver was exceptionally good. He delivered goods on time. The large television I have was not packed by him but he spent extra time to set it up even thought it was not his job. I was amazed by his level of commitment. I just want to thank you so much for our MOVE The guys were great and never broke a thing. We were very pleased with everything so please thank all the guys who were involved in the move! Thanks again! I wanted to thank your company for an excellent moving experience at 1260 SE 65th Circle Ocala, Florida. From the time we spoke to Bruce until the final move on February 11, 2015 every one was extremely professional and courteous. We would recommend your company to others and appreciate your time and patience! Ric Owens called and wanted to thank Hill's for the crew's performance and look. Mrs. Roberts was impressed with the gloves, uniforms, cleanliness and everything about the move. As you know, the job details were to move new furniture into three model homes... They wanted to commend Edward and Mike especially. He said Mike was an extremely hardworker. That Edward was a type A take charge kind of person and he was impressed. Please commend the crew for a job well done. I wanted to take a minute to say THANK YOU!!!!!!! Your team was instrumental in us getting the Munroe Project complete - we definitely couldn't have done it without you! Thank you so much for your willingness to work with us, and all that you did to make this a smooth installation. I also want to note that we really enjoyed working with your crew ... you have some really great guys and we had a ball getting to know them on the site. You have a reference with us anytime! We have nothing but good things to say about our entire experience ... receiving, warehousing, delivery, moving - all of the above -OUTSTANDING!! 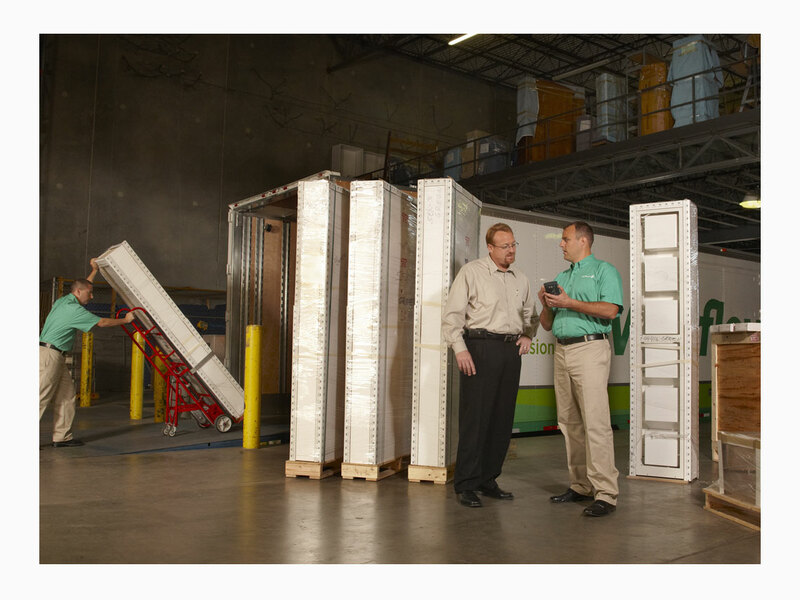 Dry and secure storage, on-site and off-site. 1 page or 1000 boxes. We got you covered. Between moves or just no room. We can help. Worry free, door-to-door we can handle it all.